MACS J1149.5+2233 (MACS J1149 for short) is a system of merging galaxy clusters located about 5 billion light years from Earth. This galaxy cluster was one of six that have been studied as part of the "Frontier Fields" project. 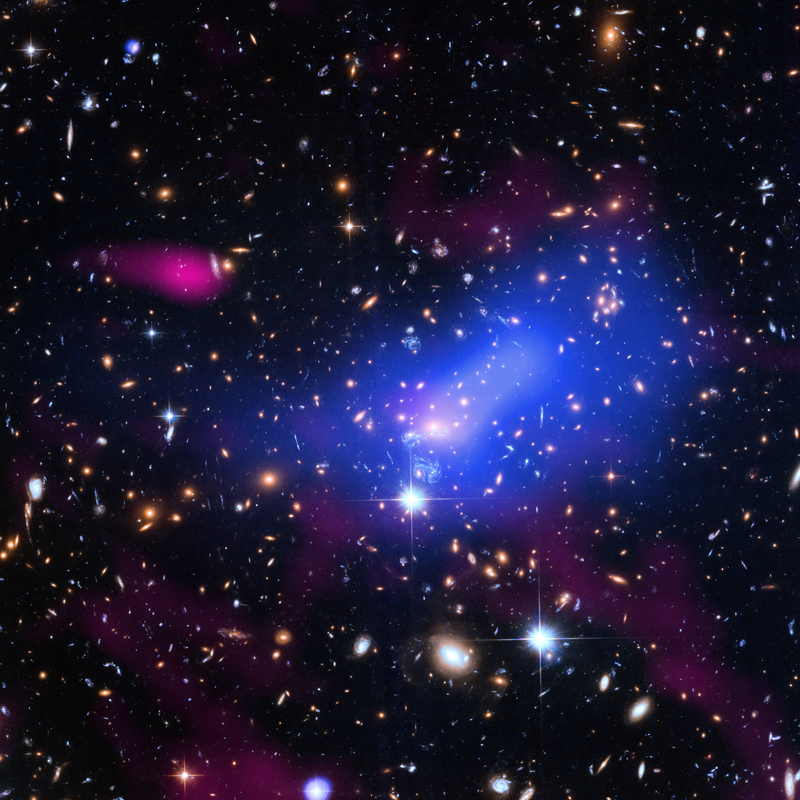 This research effort included long observations of galaxy clusters with powerful telescopes that detected different types of light, including NASA's Chandra X-ray Observatory. 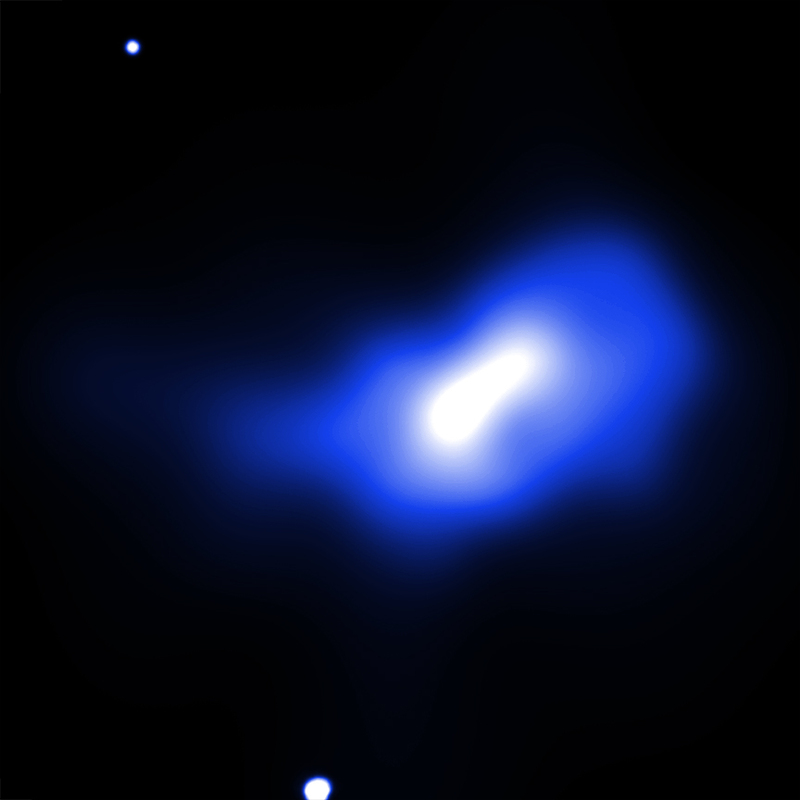 Coordinates (J2000) RA 11h 49m 36.3s | Dec 22° 23´ 58.1"
A system of merging galaxy clusters. About 5 billion light years from Earth. About 4.7 million light years across. X-rays are blue. Optical is red, green, and blue. Radio is pink.